I should have written a Loring Place restaurant review earlier in the summer, but I haven’t had much time to focus on the social media thing. 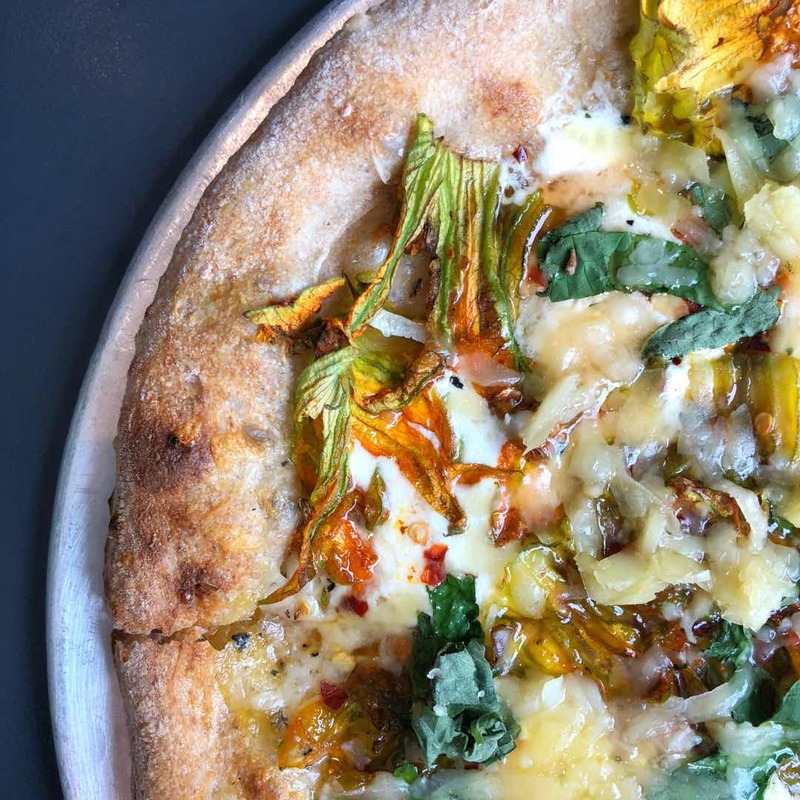 I am really sorry because you have about three weeks before the squash blossom pizza disappears to make way for fall dishes. This is one of the tastiest specialty pizzas I’ve ever had. No, you can’t compare it to standard NYC pizzas like Bleecker Street or Joe’s. But if you were to taste test it against a place like Emily, it would come out on top. Loring Place’s crust is homemade and whole wheat, chewy with a crisp exterior. Drizzled honey, chili and ricotta adorn the pizza in a symphony of savory, sweet and spice (like what I did right there?). It’s gluten perfection. The rest of the menu is just as delicious and creative. Vegetables and fruits are front and center, though proteins have noteworthy performances. This is the type of restaurant where you walk out feeling good—ingredients are seasonal, dishes are satisfying and each one surprises and delights. The wallet takes a bit of a hit, but it’s worth every dollar. Heads Up: Reservations are pretty difficult to score and are available via the Resy app. If you are willing to eat early or late, you can usually score a reservation without a ton of notice. The bar also has seating available on a first come, first serve basis. 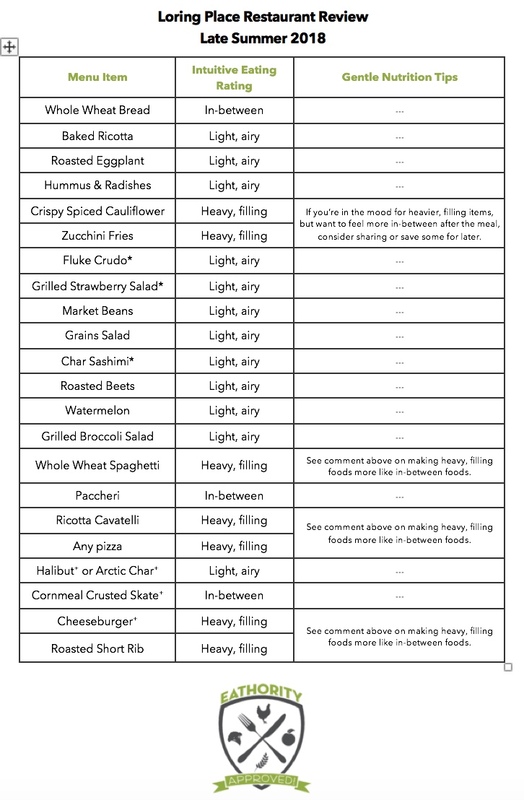 For IBS clients, there aren’t a ton of low FODMAP options, although a few dishes can be pared down to make them less FODMAPy upon request. Overall Rating: 4 (Amazing). Upscale, beautifully presented vegetable-forward food with some standout proteins. Need help getting in touch with the intuitive eater inside? I offer one-on-one sessions which can be conducted in my office, on the phone or computer. Contact me for more details.